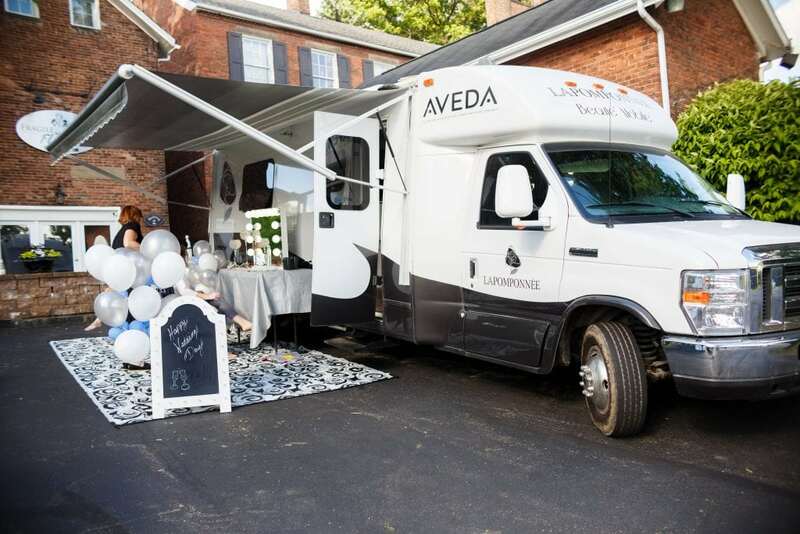 You may have heard or seen the good news – La Pomponnee Beauty Artisans is so excited to finally roll out our new Beauté Mobile, an event and promotion vehicle similar to a Hollywood makeup trailer! 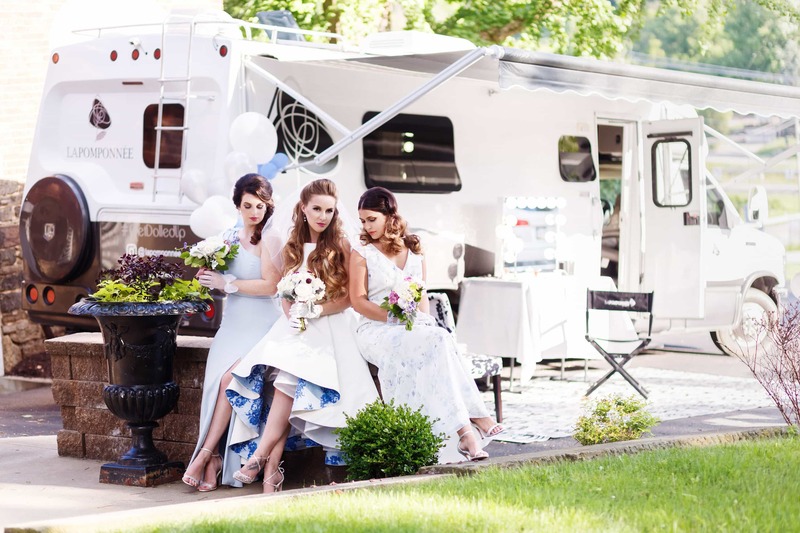 Literally translating from French to mean “mobile beauty”, the Beauté Mobile is an RV we renovated to use for promotional events and special on-site styling and makeup opportunities. 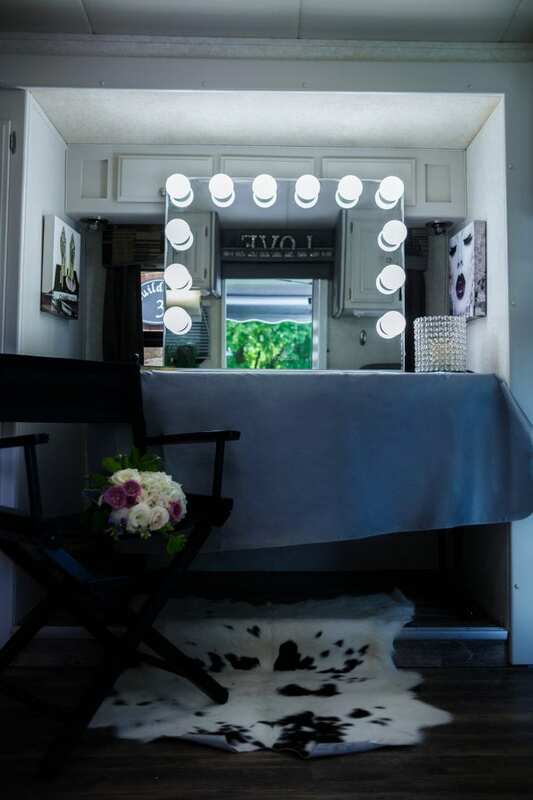 Complete with Hollywood style vanity mirrors, director chairs that will make you feel like the star of the show, and a retractable awning for outdoor prep, the Beauté Mobile allows us to bring the glam squad anywhere! But before we ride off, here’s the scoop on how the Beauté Mobile came to be. Our minds, eyes, and ears are always open to new looks, innovative techniques, and yes, better ways to serve our clients. Between our two salon locations, La Pomponnee services over 4500 individuals each month for hair, skin, nail, or makeup treatments. We wanted something new to excite not only our clients, but our community and ourselves! Moreover, we wanted to give people something they had never seen before. La Pomponnee is known for always reinventing the wheel…and this time we decided to reinvent four of them! Watch out, Pittsburgh; we’re coming for you! 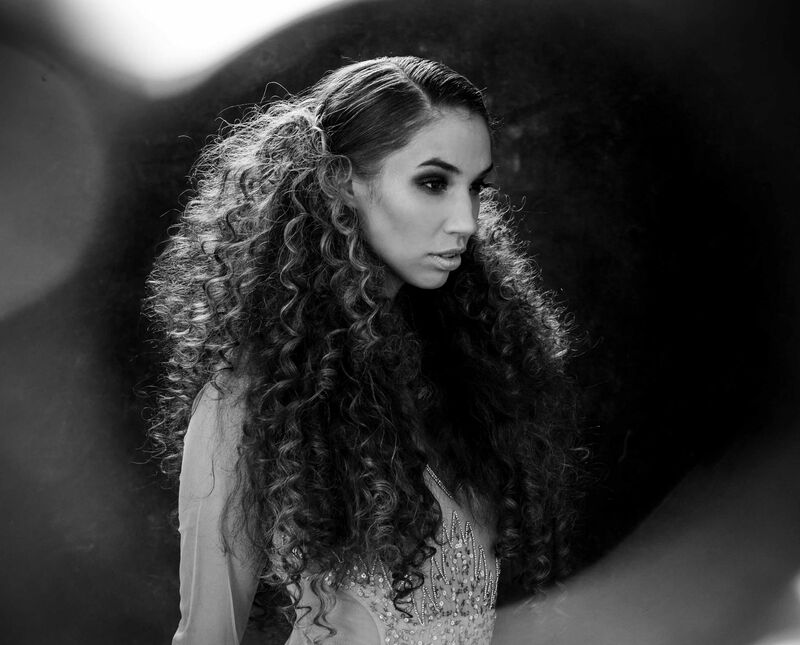 La Pomponnee owner Kristen was inspired by the Glamology Beauty Lounge, a California salon that takes a hitch trailer to photo shoots and other on-location work. After some internet searching, she found a 2013 Phoenix Cruiser for sale online. Had she ever driven an RV before? Nope! But she wasn’t going to let that stop her. She saw the potential the cruiser had and signed the papers! 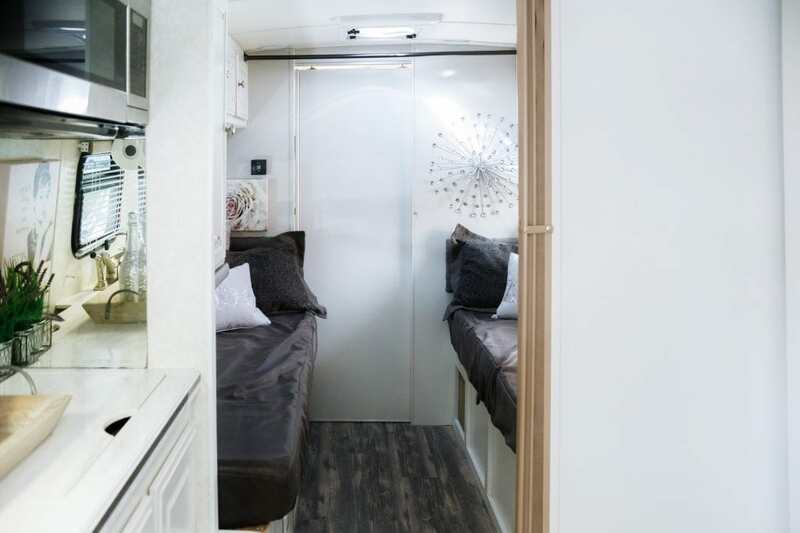 Built for exploring the open road and not dolling up clients, the RV needed some TLC. The interior was treated to new flooring, paint, and decor, while the exterior was branded with the La Pomponnee and AVEDA logos. We even stocked it with champagne! A few months of renovations to give it that La Pomponnee touch of luxurious glam and our Beauté Mobile was ready to start its engine! We plan on putting a lot of miles on the Beauté Mobile! Traveling for on-site photo shoots, braid bars at festivals or community events, private parties….we’ll take our RV just about anywhere. Our most requested use is for bridal party beauty prep! 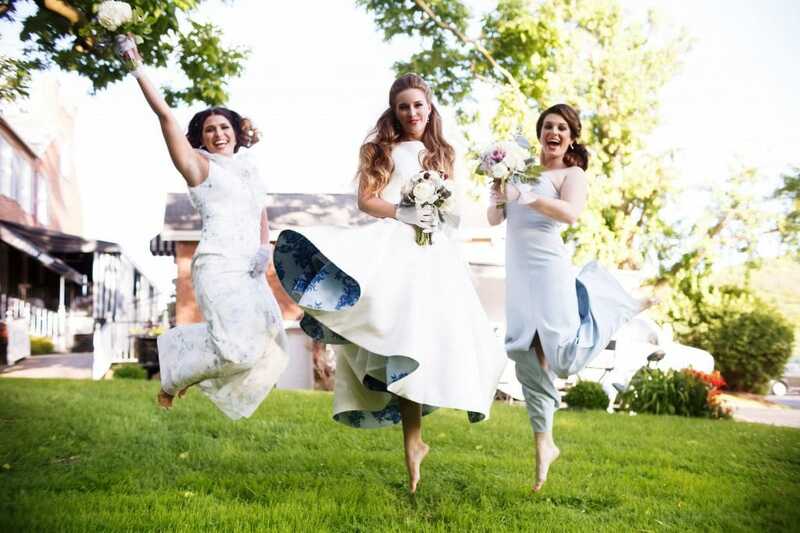 If your venue of choice doesn’t have a dedicated getting ready space (or maybe it does but you just want something a little more fun), the Beauté Mobile is the perfect solution. We’ll treat you and your maids to a relaxing morning of pampering in a glamorous, unique setting at no extra cost. Want to host a spa party? Planning a night out on the town with your gal pals? Looking for a bachelorette party alternative? Let’s plan a pre-game glam sesh! 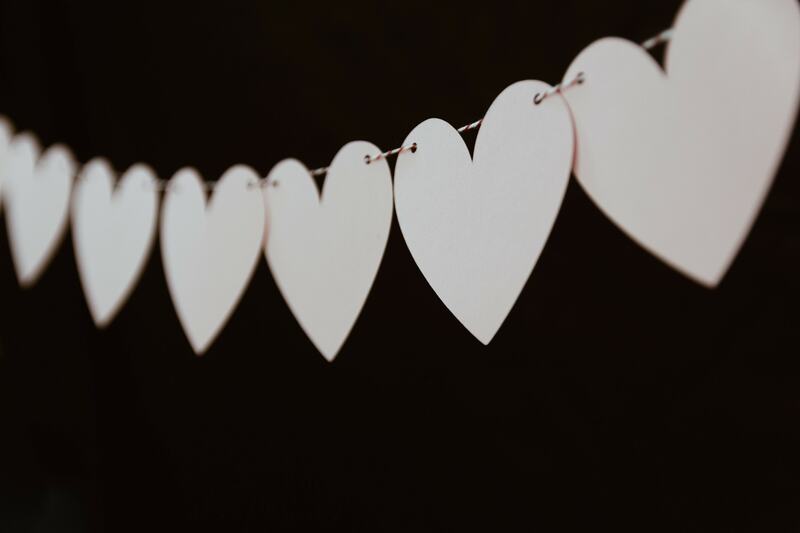 At La Pomponnee, we love giving back. If you’re hosting a fundraising event, let’s chat! The Beauté Mobile will be there and then donate 20% of its service sales towards the charity of your choice. 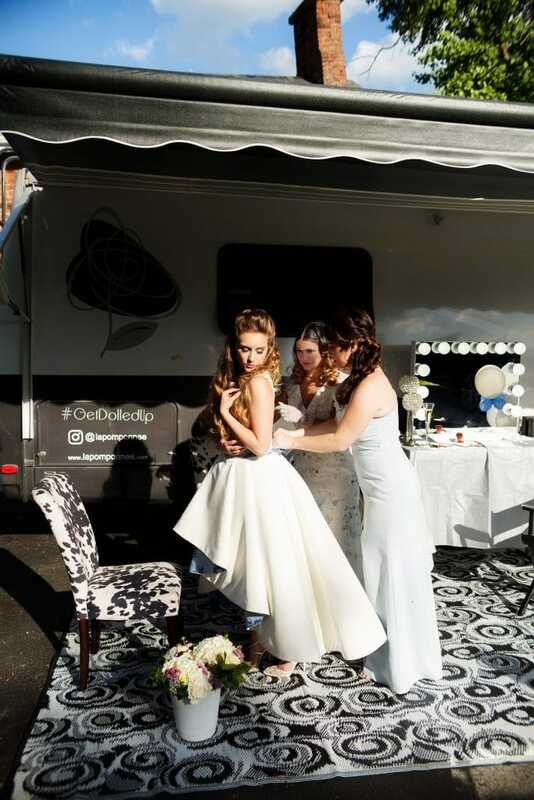 To really show off all that the Beauté Mobile can do, we teamed up with some of our friends for a fun styled shoot. Thanks to Angie Candell Photography, Mt. 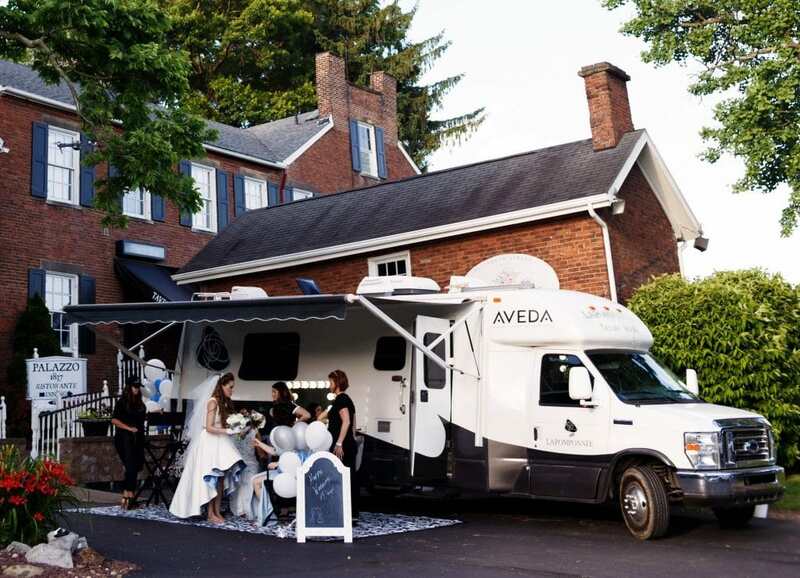 Lebanon Floral, Bridal Beginning, Adam Michaels Photography, and Palazzo 1837 for their collaboration and for helping us bring the essence of the Beauté Mobile to life! Ladies, come visit us Tuesday, July 17 at J&D Cellars At the Street for the Women in Business Night from 6:30 – 9 p.m.! We’ll be doing mini makeovers and taking before and after photos! 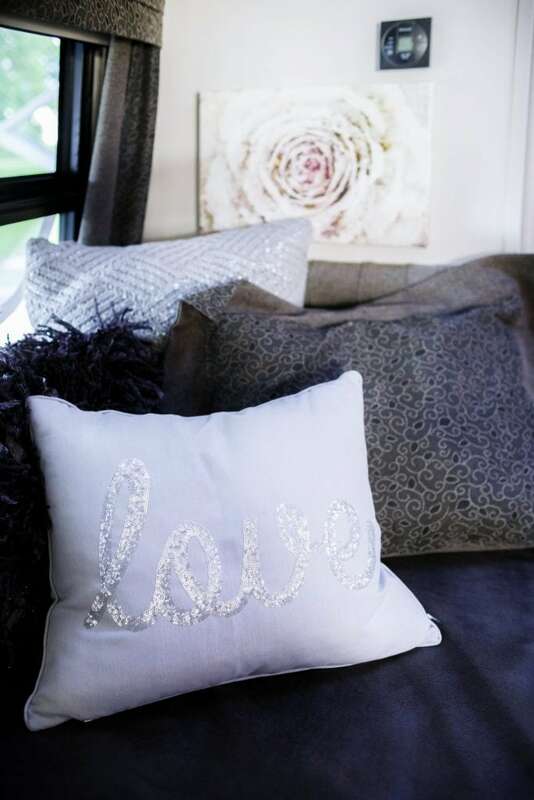 Sip on some wine and get a little glam on the Beautè Mobile! Want the Beauté Mobile at your event? We’re booking this baby for all types of parties and get-togethers! Want to thank the ladies in your office with mini beauty treatments? 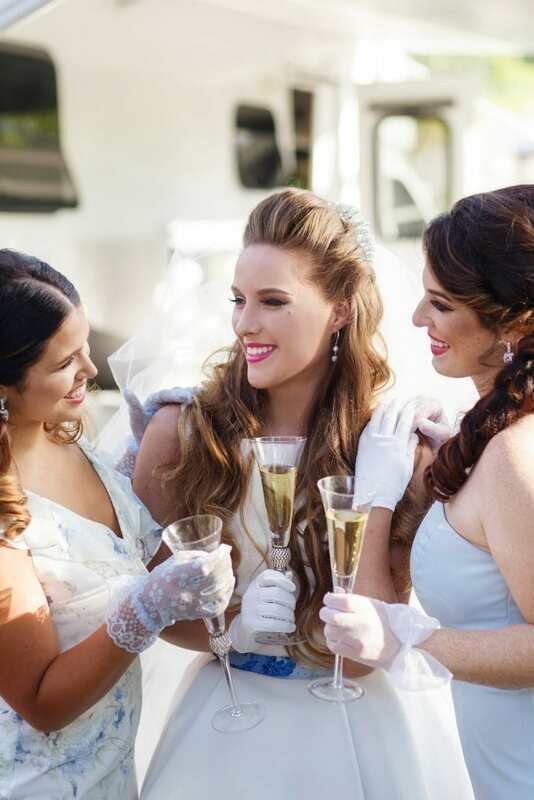 Planning a big event where attendees will want to feel extra pretty? Just want the glam squad to come to you and your tribe? Contact Kristen at 412-897-3200 to get the Beauté Mobile on the books!